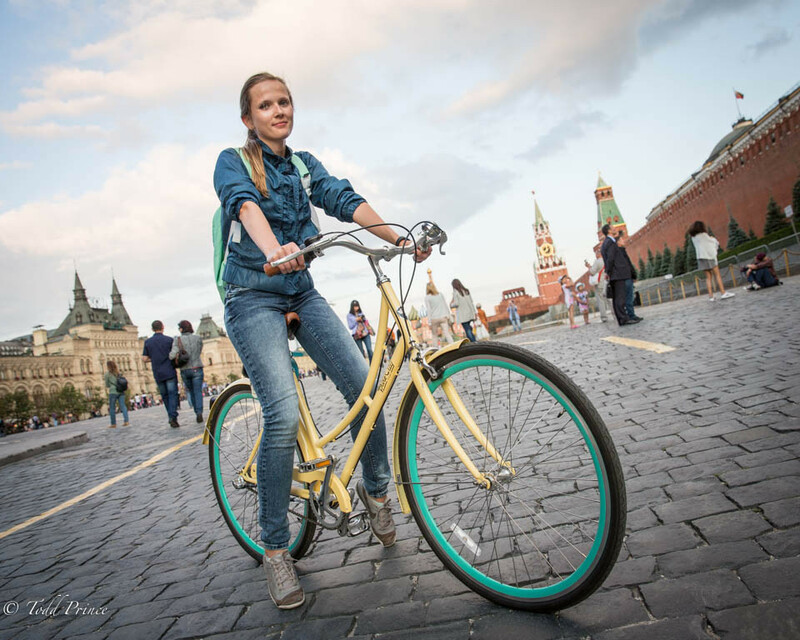 MOSCOW: Tanya, 27, was riding across Red Square on a yellow-turquoise bicycle right before sunset on a weekday evening. A manager for strategic planning at a ad agency, Tanya says she doesn’t often get a chance to bike. She often returns home late from work, so only gets to bike at best once a week. However, on this particular sunny day, her employer held an outdoor corporate event. She left early, went home and got her bike. Born in Saratov region on the Volga, she moved to Moscow to study and stayed upon finishing. She earned two degrees, studying at two faculties at the same time.